Home › Investment › Top 5 Undervalued Stocks In Malaysia To Look Out For! The famous Warren Buffet once said to “never depend on a single income, make an investment to create a second source”. His advice suggests that savings alone isn’t enough to keep your finances secure, but one of the best ways is to make your money work harder through investments. The number of investors entering the market currently has been on the rise, especially for account holders aged 25 years and below. Bursa Malaysia revealed that there’s been a 36% increase in said age group opening a Central Depository System (CDS) account, with a total of 27,252 account holders as of December 30, 2016. Those between the ages of 26 and 35 were second with a total of 192,123 CDS accounts. However, the majority of CDS account holders in Malaysia are still between 46 and 55 years of age, which means despite the efforts being made to educate the younger generation on the benefits on investing, very few know how or even where to start. It also points to the fact that many of the younger generation feel that they cannot afford to invest yet. If you’re new to investing, it can be challenging to figure out where to start and what sort of stocks to look out for. But if there’s another lesson to take from Buffet is, buying stocks that are undervalued is a key component to his value investing strategy. These are stocks that are priced too low based on certain indicators, and the reason to invest in them is based on a strategy called value investing. Since the assets can be acquired at a relatively low cost, this helps improve the likelihood of a return. Value investing also helps you avoid purchasing any items that may be considered overvalued in the marketplace, as it’s possible they might yield unfavourable returns. Even if looking for undervalued stocks is a good option, it is still difficult to determine the intrinsic value of a single stock as there are several assumptions and different valuation methodology to determine if a stock really is undervalued. Although it is important to identify an undervalued stock to ensure you’re not overpaying, it’s still important for investors to understand the company’s nature of business, the business prospect as well as the impact from the current economic condition before making any investment decision. The challenge is figuring out which stock is undervalued. Most of the time it’s done by looking at the underlying company’s financial statements and analysing its fundamentals, such as cash flow, return on assets, profit retention and capital management, to determine said stock’s intrinsic value. But there are different ways to calculate these different statements as well. Out of these four valuations, the most commonly used to figure out if a stock is undervalued P/E and dividend yield. Price over earning is used to indicate how far the stock price is compared to its earning. For example, a P/E of 5 means relatively, the stock price is 5x times of the company earning which means an investor will likely break even after 5 years given the same earning every year. If the valuation ends up being below 15, the stock is considered undervalued. Here’s an example. Let’s say Company A’s current stock price is at RM1.65, with their EPS being at RM0.06. This means: RM1.65 ÷ RM0.06 = 27.5. Then Company A’s P/E is at 27.5, which is way too high as the ideal undervalued stock should be below 15. Let’s check out Company B then. Company B’s current stock price is at RM12.66, which you would think is pretty high, but their EPS is set at RM0.84. With the P/E calculation, you get: RM12.66 ÷RM0.84 = 15. Company B’s P/E is at 15, which means that despite a higher stock price, Company B can be labelled as undervalued. For dividend yield, the higher it is, the better the returns. So, in this case, together with the P/E showing the stock being undervalued, it must also have a dividend yield of 5% and above for it to be seen as a worthwhile stock. Let’s take Company C as an example. They have a P/E of 13.14 which means they are currently undervalued. Their annual dividend is at RM0.25 per share and their current share is at RM6.27. Then the calculation would be: RM0.25 ÷ RM6.27 = 0.0398 x 100 = 3.98%. This means Company C’s dividend yield is around 4%, which is too low despite the P/E revealing the stock is undervalued. Although the above examples show us the rule of thumb to determine whether the stocks for a company is undervalued or not, it is by no means the only way to determine whether a stock is worth the investment. It’s best to evaluate the value of the stocks and balance it according to your financial goals and objectives. 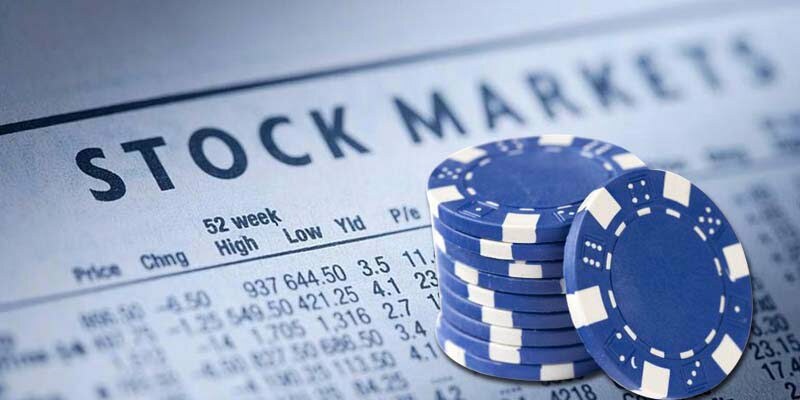 According to Jerry Lee, a research analyst from iFAST Capital Sdn Bhd, he suggests comparing the current P/E ratio of the market against the fair P/E ratio assigned to the particular market. Both earnings growth and dividend yield also play important roles in determining the level of attractiveness of a market. Ian Tai, the founder of BursaKing, says his way of defining if a stock is undervalued is if their P/E is below 10 and it gives a dividend of around 6% and above. Taking into consideration both suggestions, we have selected these 5 undervalued stocks based on the upside potential of a single market based on these three criteria: Valuation, earnings growth and dividend yield. *Stock price as at January 10, 2018. One of the areas Lee suggested to look out for is the tourism section, as the country is gearing towards Visit Malaysia Year 2020. In the past, years of 2007 and 2014, the tourism industry saw a significant spike in tourists due to the Visit Malaysia programmes. So, any industry related to the tourism industry is set to grow in the years to come, with the government already targeting to welcome 28 million tourists in 2018. One of the industries to look out for, of course, is the airline industry and AirAsia’s numbers are shown to be currently undervalued. While their P/E ratio is a little higher than the other stocks, the dividend yield remains attractive for those looking into investing in the tourism sector. TA Enterprise Berhad is an investment holding public limited company incorporated in Malaysia with its scope of business interests including stockbroking, share financing, ESOS financing, fund management, derivatives trading and unit trust fund management. Most importantly, they also have some stakes in hotels especially in Canada and Australia, which is part of the tourism industry in a more international sense. With Budget 2018 aiming to increase the disposable income among the citizens, it opens up a number of opportunities for people to utilise their money especially into banks and other financial related assistance. OSK Ventures International Berhad’s P/E shows that it is undervalued, but it also has a wide portfolio of companies that include financial services technology and e-commerce that will definitely be affected by this. Sime Darby Berhad has a wide array of portfolios, ranging from property and healthcare, right down to retail with Tesco Malaysia. Because of this, their portfolio enables them to be able to tap on to the growth of various industries. Based on the P/E calculation, it shows they are currently undervalued, which may make this the best time to consider investing with them. The publishing industry has hit some hard times with technology now becoming the go-to for readers everywhere. But that doesn’t mean they’re out for the count, as Star Media Group Bhd has shown some sturdy numbers despite being undervalued. So if you’re following the publishing industry, this stock may be worth noting. Are undervalued stocks really worth it? One thing about the stock market is that it moves in cycles, moving from low to high over time. This cyclical nature of the market often holds no prisoners, meaning good stocks also are up for grabs once in a while. So as the market declines, stocks as a whole become undervalued simply because people are pessimistic over their value, pushing them down to extreme levels. It’s during this time where investors have the opportunity to buy stocks at a decently low price and because stocks often rise back up as the market cycles, these stocks can potentially produce long-term profits. The only problem here is there is no precise way to know when a decline will end, so you might face further downside risks. However that shouldn’t deter you. Like all investing ventures, the first thing you need to do is thoroughly research the stocks you want to put your money in. Second, spread your risk and this can be by way of keeping track of your investment portfolio and diversifying your investments into different assets and instruments. Third, start now. If anything, undervalued stocks show that timing is everything and while you may not be able to game the system, you can certainly take advantage of your time horizon.